Walmart's entry could also significantly shake up things for Flipkart's board. Ahead of its mega deal with Walmart, reportedly in its final stages, ecommerce leader Flipkart is busy getting its house in order to ensure that things move more smoothly. According to The Economic Times, the company has set aside $400 million to buy back shares from small investors in an attempt to regain its private limited company status in Singapore. For the record, Flipkart's parent is registered in the island city-country. "If a strategic investor is coming in, it would be easier for the investor if the number of shareholders is below 50," Vaibhav Parikh, a partner at law firm Nishith Desai Associates, told the daily. Over that number, an entity becomes a public company in Singapore and "the compliance to deal with is much higher as compared with a private company", he added. According to filings with Singapore's Accounting and Corporate Regulatory Authority (ACRA), Flipkart currently has about 145 entities as shareholders. However, Flipkart's major shareholders such as Tiger Global and SoftBank, both owning 20 per cent stakes in the company, are unlikely to sell any of their shares in this exercise. The report added that smaller stakeholders include US-based investments firms Vanguard Group and T. Rowe Price, Bengaluru-based IDG Ventures and Russian billionaire Yuri Milner-led DST Asia. All the above have invested in the desi unicorn through multiple entities or funds. Last year, when SoftBank came on board, Flipkart had facilitated a partial exit for its older investors, reportedly shelling out about $1 billion to buy back shares. So Tiger Global, which was the second player to bet on Flipkart back in 2009 - ploughing in a whopping $30 million in two tranches - sold shares worth around $500 million last year. Similarly, Accel Partners, which led the Series A round in Flipkart with $1 million, has already raked in $150-200 million from its partial exit last year. Walmart's entry could also significantly shake up things for Flipkart's board. The buzz is that the American company could bag four of the 10 seats on the board but the top management is not expected to change. 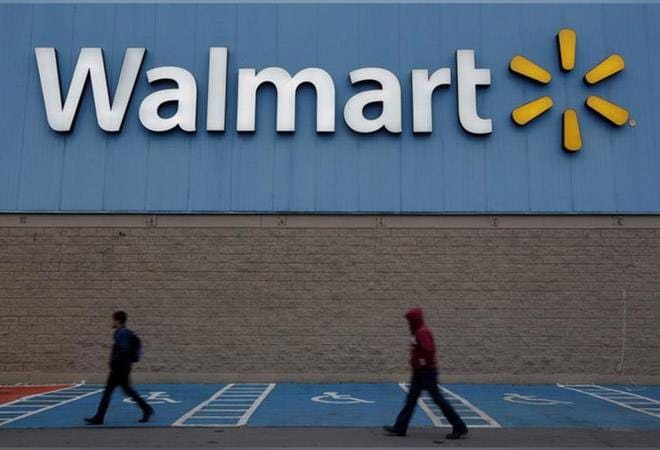 Walmart is expected to pump in over $12 billion in Flipkart for a majority stake in the company, as some insiders told the daily. This investment is likely to value the Indian company at $18-20 billion. That's truly impressive for a company that was all but written off in 2016 thanks to valuation loss, leadership issues and an aggressive Amazon.